To celebrate 125 years since the Suffragists’ historic victory, The Kate Edger Educational Charitable Trust (KEECT) called for young women in Year 13 (in Auckland and Northland region) to share their views on what this movement means to them now and into the future. 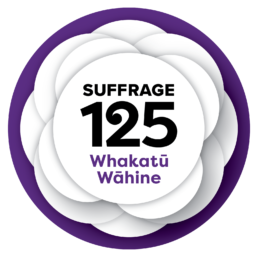 This creative competition sought change-makers who exemplify the courage, determination and community spirit shown by the two Kates – Kate Sheppard and Kate Edger – along with all the women and men, Māori and Pākehā, who were involved in the suffrage campaign. The judges were delighted with the energy and creativity of the entries, which responded to the question ‘What does the Suffrage Movement mean to you; your family; your whānau; your identity?’ Through song, video, poetry and prose, these talented young women in Year 13 from secondary schools throughout the Auckland and Northland regions demonstrated how the suffrage movement relates to the issues that are important in their lives. Entries touched on diverse subjects, from female empowerment, to body image, the gender pay gap, and migration and highlighted the challenges and the successes of women.